I first met Anne Shirley when I was 12 years old. My Mommom had recently taken a tour of Canada and had returned with a copy of this novel...quite possibly from Price Edwards Island. At first I had little interest in it. It seemed a bit too old fashioned. Then I traveled to South Carolina to visit relatives and this book ended up traveling with me. I was completely miserable on that trip, homesick mostly, and I turned to my books for solace. There, Anne Shirley became my very best literary friend and every few years, without fail, I return to Avonlea and Green Gables where I laugh and commiserate over Anne's penchant for getting into scrapes and cry over the death of Matthew Cuthbert. 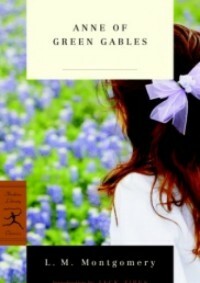 Reading Anne of Green Gables this time around was an interesting experience. It wasn't the first time I had read it as an adult, but the first time I read it as an adult who was married and truly had a few experiences under her belt. I was worried that Anne Shirley would seem like a silly child, but thankfully I was charmed by her as I was the first time I met her. Maybe even more so. I bought the entire Avonlea series to read on my Kindle, something I have never done. I think it'll be interesting to see how the series develops, but I have a feeling I won't like any of the other books quite as much as the book that started it all.